US Navy Blue Angels have accepted our invitation to perform on Labour Day weekend! Air Show Atlantic is returning to Greenwood for 2019! 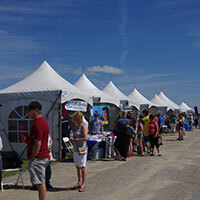 Air Show Atlantic Tickets On Sale to the General Public Now! DON'T MISS THIS EARLY BIRD PRICING! US Navy Blue Angels accept invite to perform at Greenwood in 2019! 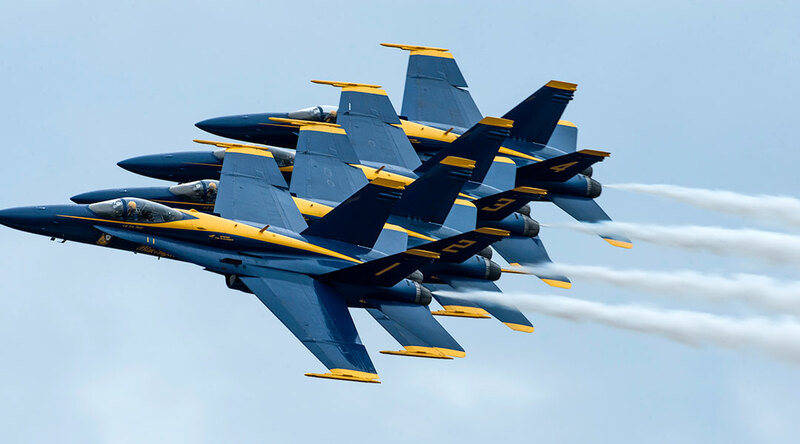 The US Navy Blue Angels demonstration squadron have selected Air Show Atlantic at 14 Wing Greenwood as their 2019 Canadian air show site. Each air show season, the Blue Angels perform only one show outside of the United States - they have accepted the invitation from our Show for the 2019 Labour Day weekend (August 31 & September 1, 2019). Colonel Mike Adamson, 14 Wing Commander says: "After a highly successful show in 2017, we are excited to announce that 14 Wing Greenwood will once again host the Atlantic Canada International Air Show in 2019." "It's an honour and a responsibility, but it is just a step toward a Show in 2019. We require significant contributions from our government and corporate partners to get a go-ahead from our Board of Directors in order to produce a Show. Fortunately, we have had preliminary discussions with Municipal and Provincial governments and we can now finalize proposals to them. We have worked for over a year to have this invitation accepted and we hope for quick and positive turn-arounds on our requests," says Colin Stephenson, the Show's Executive Director. Air Show support has seen excellent returns on investment for our government partners in the past. The Show typically brings in over $2 million dollars in economic impact to the host community it visits each year. The impact has been measured and confirmed at multiple show sites over the years. 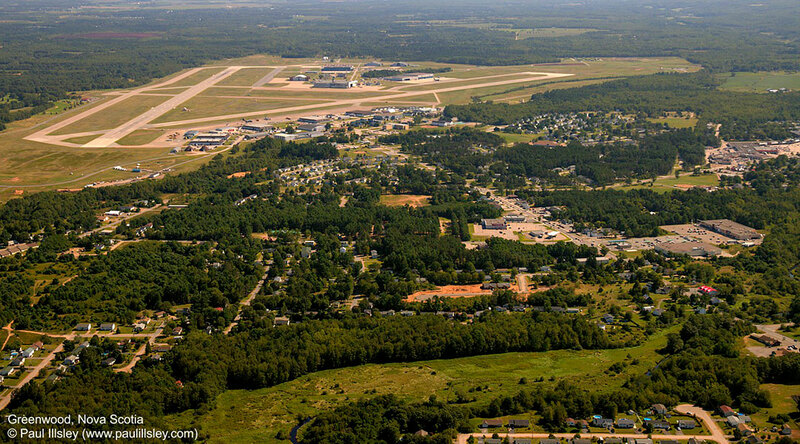 Air Show Atlantic has been produced at 8 different show sites since leaving its traditional home at Shearwater in 2004. The roots of this Show date back to 1981 when Shearwater first officially produced it as a military show. It has been a not-for-profit production since 1996. This will be the fourth time the Blue Angels have been hosted since then. Returning to Greenwood, we fully realize the challenges presented by traffic volume in 2017 and are already addressing this by making a significant investment in traffic control and working together with local authorities very early in the process. 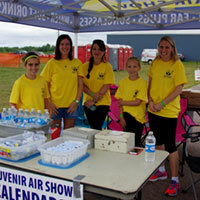 Did you know that it takes over 200 volunteers to make our Air Show run successfully? Every year we work with our host city to recruit local volunteers to assist us with many aspects of the Show. We're always on the lookout for new faces to help us out! Air Show Atlantic is widely recognized as an ideal marketing platform for you to reach the public and corporate customers. Talk to our Executive Director and let him show you how supporting the Air Show can help your company. Find out what we can do to grow your business. For the 20 years since its inception, the Runway Market has been a huge success for both our exhibtors and the Show. 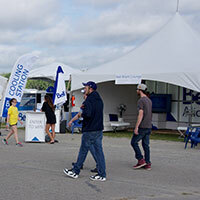 Thousands of people each day with a prime location on the airfield means it is a great way to bring awareness to your business or your cause! Currently running our 36th Air Show, the Atlantic Canada International Air Show has a long, proud history in the industry and the region. We have a dedicated and professional team of volunteers who work on a year-round basis every year, led by our Executive Director, Colin Stephenson. Air Show Atlantic is one of the productions of the Nova Scotia International Air Show Association (NSIASA), formed as a Nova Scotian not-for-profit society in 1996. CF-18 Demo Team reveals 2019 paint scheme! Welcome to Atlantic Canada from the Blue Angels! 1 What performers will be flying in the Air Display? 2 Which types of aircraft will be on Static Display? 3 What other ground performers and attractions will be on-site? 4 What is the schedule for the week of the Air Show? 5 What are the details about buying tickets? 6 What is the plan for parking at this year's Show? 7 Can I bring my pet when I come to see the Air Show? 8 How do I find out about about any promotions or special events related to the Show?